See this comparison of DNSFilter vs Webroot SecureAnywhere DNS Protection. DNSFilter rates 4.3/5 stars. Webroot SecureAnywhere DNS Protection rates 4.7/5 stars. Low cost cloud based security and web filtering. MSPs, Education & small companies looking for a low cost, easy to use web filtering platform with emerging threat protection. Organizations looking for advanced security and granular controls. DNSFilter offers a DNS based web filtering service with a focus on simplicity with a modern user friendly interface. The product is unique in the industry in that rather than relying on large categorized databases of URLs, DNSFilter uses a machine learning algorithm to analyse domains in real time and keep companies secure. Another focus of this service is web content filtering with customizable filtering policies powered by machine learning algorithms and detailed accessible reporting. They also offer security threat protection against malware, phishing and botnet attacks. Streamlined low cost pricing which is attractive to MSPs. Charging is based on usage, not the number of users. DNSFilter are focused on providing an easy to use, streamlined DNS web filter. 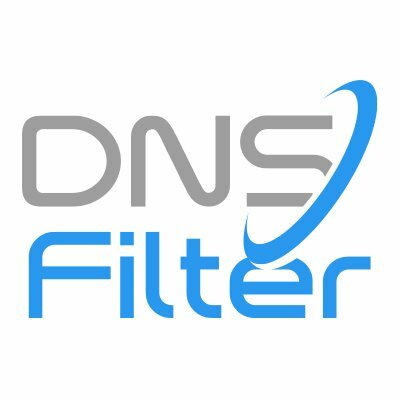 DNSFilter is a young product but contains all the features you’d expect for a good secure DNS web filter. Threat protection is robust, with machine learning algorithms making up for the databases of larger competitors. URL filtering is strong, with algorithms tuned to company policies determining which websites users should have access too. DNSFilter offers an accessible UI and great reports and analytics making admin’s lives easier and streamlining the management experience. The reports themselves are not advanced, but still offer detailed views of user activity and security policies. DNSFilter does not offer the most advanced granular controls, but it is a good option for small and medium-sized companies looking for an easy to use and secure web filtering platform. The service will also appeal to education clients looking for a low cost service to deploy to multiple end-points without having to incur per user pricing - however beware of students trying to bypass the service via VPN's and proxies. Offers protection for DNS connections against cyber attacks and visibility into web uses. MSPs, medium and large sized organizations looking for strong threat protection and security policies with easy deployment. Small organizations looking for a low cost service with more basic threat protection. Webroot SecureAnywhere DNS protection is a cloud-based web security which helps to protect employees and data from malicious content online. It offers threat protection with the integration of Webroot’s BrightCloud Threat Intelligence. It also provides granular web filtering over the websites employees can access. There is no hardware or software to install meaning installation is fast, and easy. The service also offers reporting and monitoring of employee behaviour. Webroot is based In Broomfield, Colorado and was founded in 1997. Webroot SecureAnywhere is a great option for DNS web security. The service is easily deployed, easy to manage and won’t slow down your internet at all. The threat protection offered is market leading, with advanced machine learning engines scanning websites in real time for malicious URLs. There is a wide range of URL categories and granular controls for admins over the security policies in place. This makes Webroot a strong option for businesses looking for the most secure service to protect your employees and business. The reporting and auditing are also comprehensive, with reporting on cloud services, pre-made reports and report scheduling. There is also visibility into traffic, usage and blocked threats, giving admins valuable insight into employee behavior and safety. 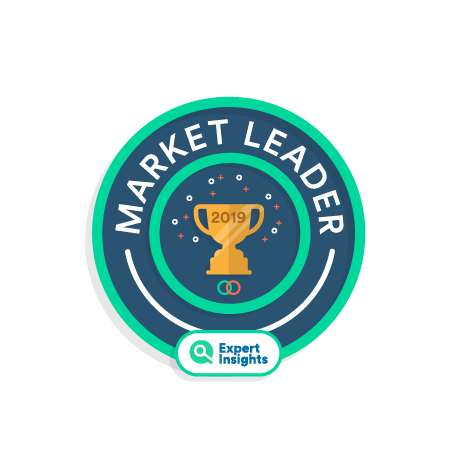 SecureAnywhere is a good option for businesses looking for market leading threat protection, comprehensive reporting and logging, and customizable admin policies and controls. The service is also a good option for MSPs as the platform is cost-effective and easy to both manage and deploy.